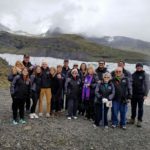 The Truman Alumni Association is proud to offer group travel programs that allow alumni, friends and other members of the Truman family to explore the world together. Make your plans now and book early to guarantee your spot. Join us for an 8 day/7 night journey down the Rhine River with stops in Switzerland, Germany, France and the Netherlands. The trip includes complimentary lunches and dinner on board the cruise ship, one complimentary shore excursion in every port of call, airfare and transfers. Pricing starts at just $3,798, including airfare. Rates depend on airfare and cabin selection. Rates vary based on current airfare pricing, so book quickly to lock in the lowest rate. The seven-day trip to Iceland featured scenic highlights like Iceland’s most famous waterfall, the mighty Gullfoss and the national park at Skaftafell, and a stop at Lake Jokulsarlon, the deepest lake in Iceland. Have suggestions for future trips…let us know where you would like to go. To request general information about Truman’s Alumni & Friends Travel Program, contact Truman State University’s Office of Advancement, (660) 785-4133, bulldogforever@truman.edu.